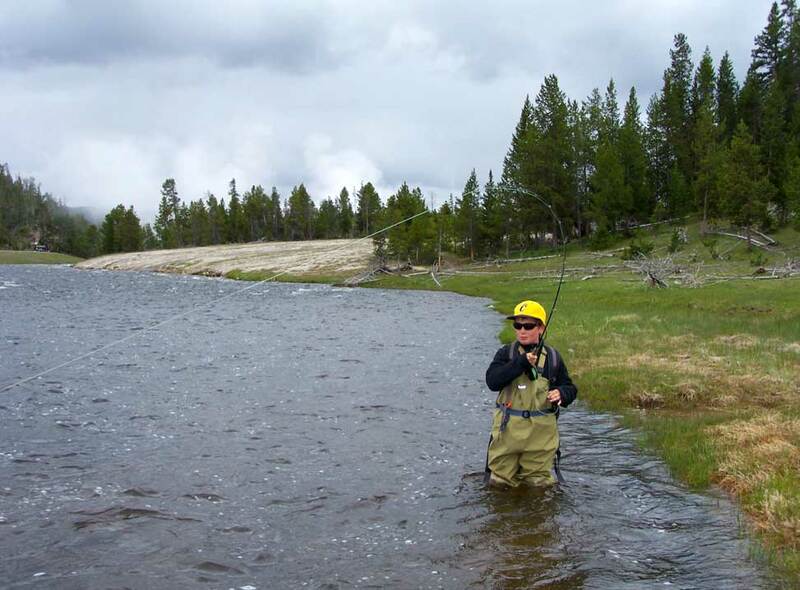 At Fish the Fly, we focus on fishing the southern half of Yellowstone National Park. We do fish the famous rivers like the Firehole, Madison, Lewis, and Snake, but there are numerous creeks and lakes you have never heard of that are worthy. Once you step off the beaten path where most of the tourists are, the real Yellowstone reveals itself. 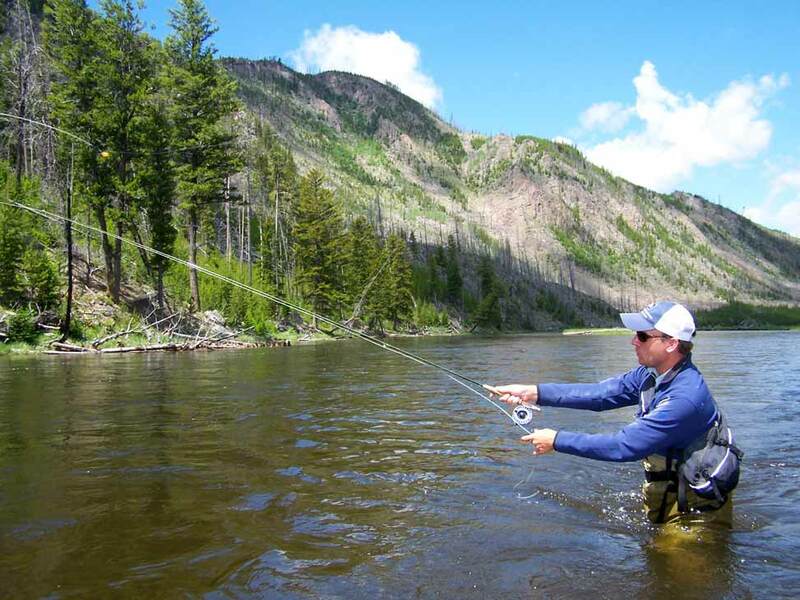 The Yellowstone fly fishing experience is great for all skill levels — from beginners looking to learn flyfishing — to the experienced angler looking for a challenge. Swinging wet flies in the Firehole River, for example, is a great way to teach beginners fly fishing. Yellowstone Cutthroat love to eat dry flies and it is a very visual experience that will not soon be forgotten! Streamer fishing gives the expert angler the chance to catch a true trophy trout. 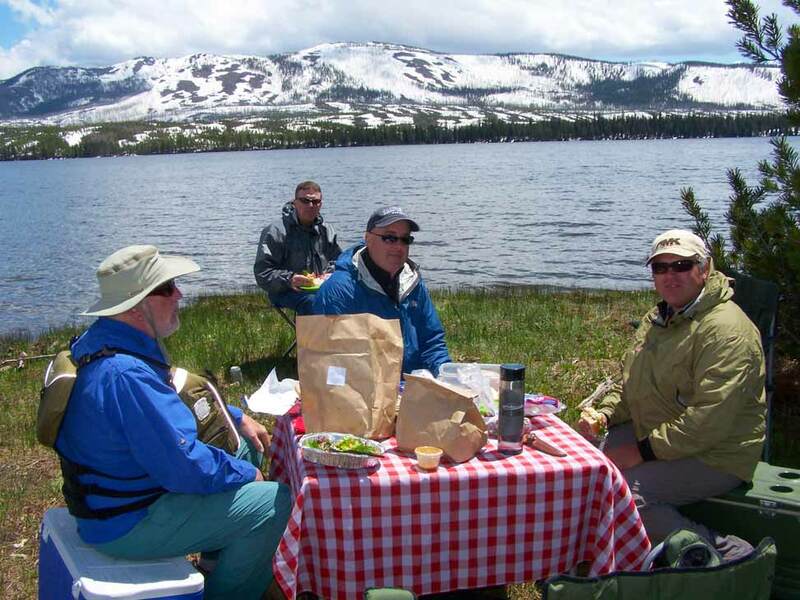 Check our fly fishing blog for the latest Yellowstone fly fishing report and conditions. Our access is limited in Yellowstone Park, so book your guided fishing trip early to insure a spot. Trips are offered in conjunction with Teton Troutfitters. Techniques: Yellowstone is a great place to swing wet flies, fish dry flies, nymphs, or streamers at any time in the season. Technique will depend on the fishery and the time of the season. Mayfly and Caddis hatches, especially early and late in the season, offer match the hatch conditions. Best Time: Fishing season opens on the Saturday of Memorial Day weekend and typically the Firehole is the best option with great hatches. 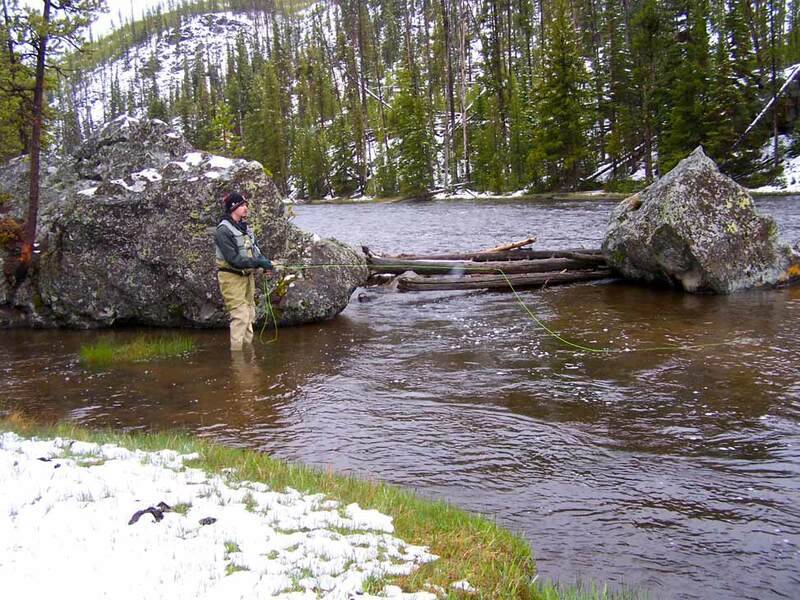 Mid to late June brings more snowmelt and Lewis Lake and a few creeks fish well. July-September is consistent for dry fly action on the major rivers and also the small creeks and lakes. October brings spawning brown trout on the Madison and Lewis Rivers. These rivers and Lewis Lake are a great option until the Park closes the first weekend of November.